Now I am on deserved vacation! It is a bit stressful as I need to finish 6 more custom ordered paintings and few more smaller things in less then a week but I am looking forward to hear happy thoughts and smiley faces when people receive them as a gift. Ritz-Carlton's Christmas Tree Lightning Ceremony and Little Christmas Market and MIA Park Bazaar. Both events were outdoor and they were really nice. 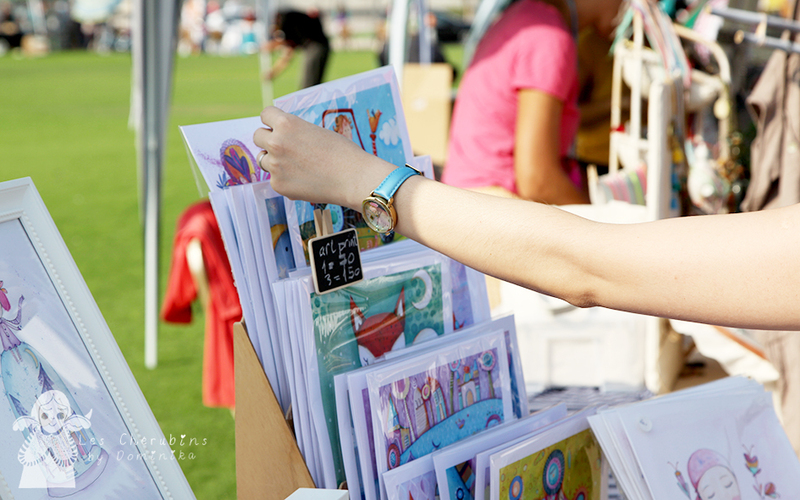 I liked the atmosphere, the weather and getting feedback on my work. See you on Monday at my blog :))) as I am not participating in any event until the end of January 2015. You would not believe me if I told you how messy my studio looks like. I am working on the floor, on the table... paints, canvases, papers are all around plus I am on my laptop non stop replying emails and messages. I also ran to the printing company to do some Christmas cards and gift tags... for the little market at the Ritz Carlton on Wednesday and the MIA Park Bazaar on Saturday. I am sorry for not posting anything for 3 weeks, it was busy over here. I started a new line of hand painted cuddle toys and dolls and was working on few custom orders plus I had two markets to prepare for. 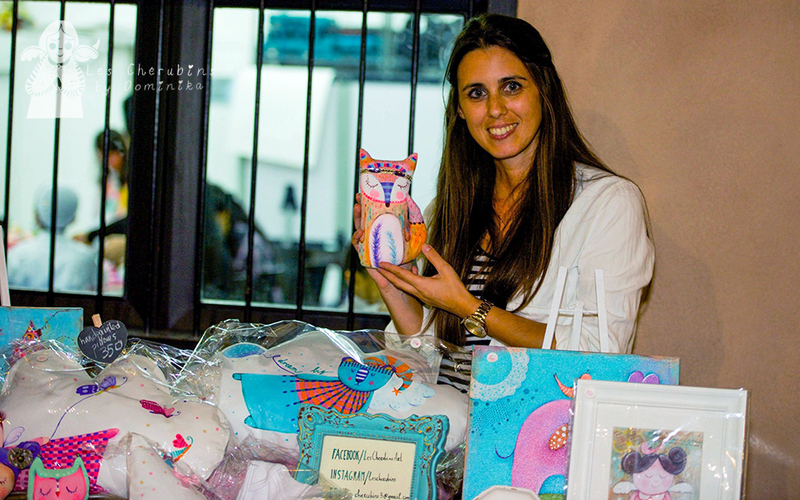 I really enjoyed making hand painted cuddle toys and dolls and I am planing to make more this week. They are painted with fabric colors and can be hand-washed. Back side is not hand painted, only the front. 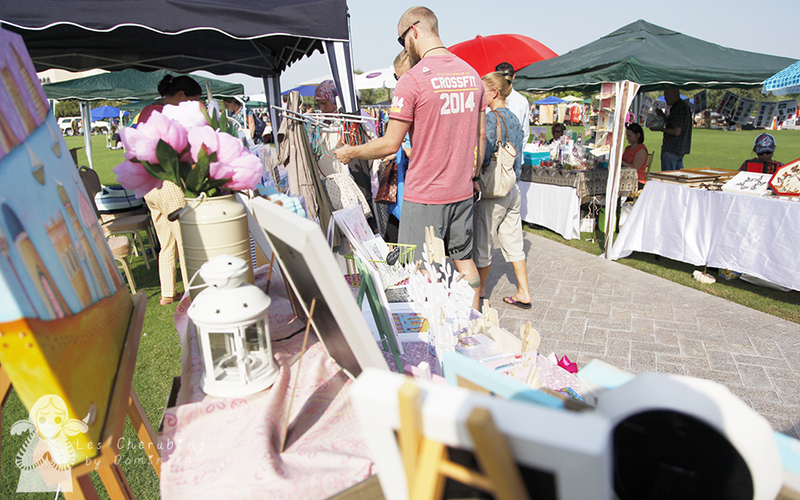 And here are few photos from two markets - Makers Market at Virginia Commonwealth University Qatar and Katara QatART Handmade Market at Katara Art Studios in Doha. 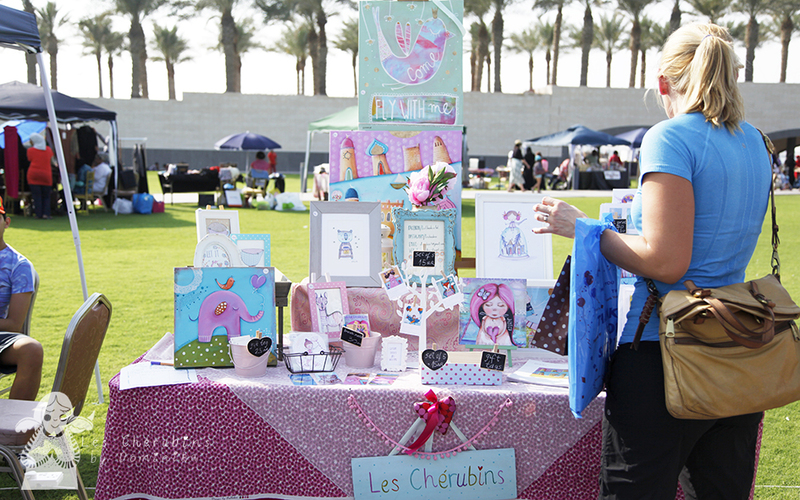 I was planing to stop with markets and bazaars as I have lots of custom orders to finish before I leave for my Christmas vacation to Croatia but then I've decided to be present at 2 or 3 more markets :DDDD so you can find me on 3rd December from 4-6,30pm at the Ritz Carlton's Christmas Lightning and Little Christmas Market in Doha. 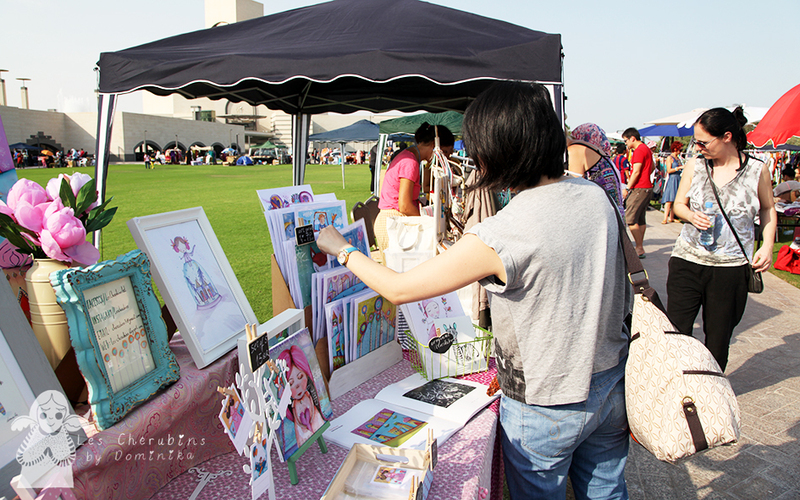 This Saturday I was at the Museum of Islamic Art Park Bazaar. In the beginning I was melting in the sun, it was 35 degrees but later on it started cooling down with a bit of a nice breeze. Unfortunately, the part where I was located at didn't have lights so after the sunset my table was in complete dark and I had to pack my stuff before the bazaar finished. Anyway, I had a really good time. I love being outdoor and this is the perfect opportunity plus I can hear the feedback from the visitors. Thank you a lot for visiting my table and showing your interest in my work :D Thank you all who left their contacts, I have already added you to my mailing list so you can start receiving my cute emails. 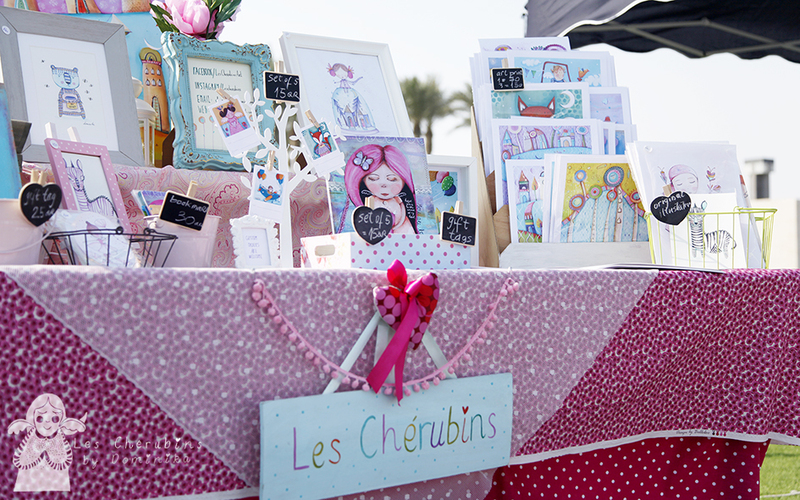 My next market will be at Virginia Commonwealth University on 15th November where they invited only Doha-based makers of art, design and craft plus their students and alumni to showcase their work. I am so happy they picked me to participate in this market and I am really looking forward to it!! !